The term “fair trade” is often used to describe a good that was produced in a manner that is less exploitative than conventional practices. However, without reputable certification methods, it can be difficult to verify if the “fair trade” business model had any impact. Labelling is an important feature of fair trade operations. The certification labels associated with a “fair trade” product dictate the integrity of the business practices behind the product’s creation. Carleton University is a Fairtrade Certified Campus. 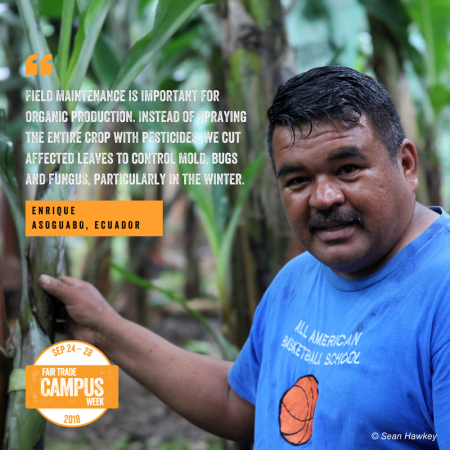 This certification is bestowed to campuses that have committed to support and educate about fair trade. As a Fairtrade Certified Campus, Carleton works hard to make as many Fairtrade products available as possible. 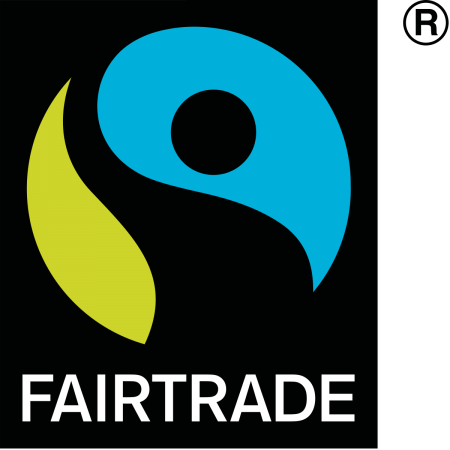 The Fairtrade logo can be found on around campus where Fairtrade products are sold, indicating the product was created using Fairtrade standards. The price of goods, especially raw materials, can fluctuate rapidly on the global market. A drought or extra rainy growing season can dramatically affect a product’s supply, and consequently its price. The Fairtrade Minimum Price is a form of protection for farmers against volatile prices. The Minimum Price is a price the farmer will at the very minimum be paid for their goods, regardless of how much lower the market price may be. If the market price is higher than the Fairtrade Minimum Price, farmers receive the market price. This protection ensures farmers have a secure and stable income, allowing them to plan for their future. Fairtrade operations are at least 50% owned by the producers through some form of co-operative. Each farmer has an equal voice, allowing them to be involved in the decision-making process. This means farmers have the power to influence the use of resources and the setting of prices. The Minimum Price is set at a level which provides farmers with the funds to operate in an ecologically and socially sustainable manner. Labour standards requiring safe and equitable work environments are strictly enforced. Environmental standards promoting sustainable management of natural resources are central to Fairtrade to ensure future generations can utilize the same resources with similar capacity. One of the most unique components of Fairtrade business agreements is the Fairtrade Premium. Farmer co-operatives are paid a sum of money known as a Fairtrade Premium that goes into a communal fund. This fund can be used as members of the co-operative see fit. The Fairtrade premium funds may be reinvested into the product’s operations, such as a new irrigation system. Members of the co-operative may also decide to invest the Fairtrade premium funds into their community, such as building a new school or medical center.